An SSL Certificate Free for the life of your Account! While some Hosts provide one Website Builder for designing a site for Desktop screens and a separate Website Builder for designing a site for Mobile screens, Sitepad Website Builder fully automates the process of achieving responsiveness for all size screens and screen resolutions. You only need to design each page once! An SSL Certificate is provided Free with every Hosting Account for the life of your Account! This helps to boost the Search Engine Ranking for all types of Sites. 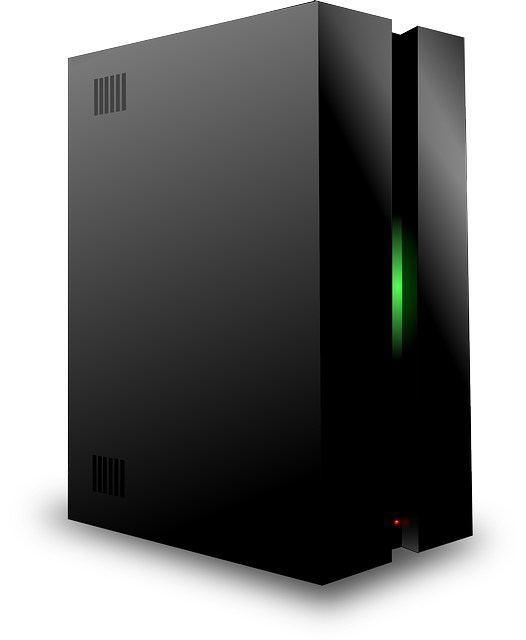 A Dedicated IP Address is included Free in our Platinum Hosting package. This helps to provide the best possible reliability when sending mail. Our Free Hosting Package has no ads on pages. You can pay for Domains, and Hosting Packages which include Business Email, by Card, PayPal or Internet Banking. For Hosting packages with Business Email you can choose to pay from 1 month to 3 years at a time. You can also easily upgrade or downgrade your Hosting Package and/or change the Billing frequency at any time online. Our site has been hosted by Australian Websites for over 15 years. How do our Hosting Packages compare to Godaddy? Godaddy's lowest priced Plan for a Business website with their Website Builder is $179.40 per year paid annually. Our paid Hosting Plans when paid for 1 year at a time start from $78 per year. We provide more flexible payment choices. You can choose to pay for our paid Web Hosting packages from 1 month up to 3 years at a time. Godaddy's price of $179.40 per year does not include an SSL Certificate. Their normal price for an SSL Certificate is $109.99 per year. All of our Hosting Plans include an SSL Certificate for your Domain Name completely Free for the life of your Account! Godaddy's price of $179.40 per year also does not include Email Accounts for your Domain Name. Our paid Web Hosting packages include the ability to easily create up to 50 separate Email Accounts for your Domain Name at no extra cost. If you would like to have an Online Store Godaddy's price is $335.40 per year. Our parent Site australianwebsites.com provides Web Hosting packages with the ability to create one or even multiple Online Stores with full Ecommerce features including a wide range of Shopping Carts to choose from, and an SSL Certificate for your Domain Name completely Free for $165 per year when paid yearly. Our range of Web Hosting Packages provide all of the features you need to quickly and easily create your own amazing Site! Our Free Hosting package does not include Business Email. You can easily add Business Email by selecting one of our paid Hosting packages below. How do our Hosting Packages compare to Wix? Wix outsources Email Hosting to G Suite where the cost is US$6 per mailbox per month. We host Email on our own servers making upgrades to Business Email much simpler and easier, and provide the ability to create up to 50 mailboxes from only AUD$5 per month. Thats from $5 total per month for up to 50 mailboxes, not $5 per mailbox for each month! Sites are hosted on servers in Sydney, not overseas, thus providing faster page loading. Much quicker and easier to achieve Mobile responsive sites. Sites on our Free Hosting package include up to 5,000MB of Bandwidth which is 10 times the 500MB of Bandwidth provided by Wix in their Free Hosting package. Its simpler and easier to upgrade to a package with Business Email any time. No need to spend time reading and understanding guides on how to create DNS zones so that your website and email will connect and work at the same time. Free Hosting on Wix includes ads on every page. Our Free Hosting package has no ads on pages, only a text link "Theme by Sitepad" on the bottom of each page. Sites on Free Wix Hosting have an address of username.wixsite.com/siteaddress Sites on our Free Hosting Package have an address of yourdomainname.com That is, while Wix charges a price starting from US$8.50 per month to remove ads and point a Domain Name to a site, it costs nothing to point a Domain Name to our Hosting Packages, including our Free Hosting Package. We provide lower prices to register Domain Names including .com.au Domains from only AUD$11. Hosting Package, then you can order one or more Domain Names during the process of ordering the Hosting Package.